Wiretapping internet backbones (e.g., transatlantic cables). Adds cryptographic protections above TCP layer: Confidentiality, Integrity, Authenticity, Forward secrecy. 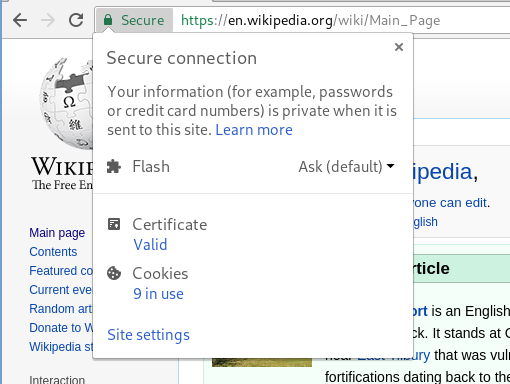 Latest version: TLS 1.3, March 2018. A few constructions based on theorems. Usually bounds are taken much larger than physically possible (e.g. : more computation time than the age of the universe / smaller probability than presence of active substance in homeopathic dilution). keys, passwords must be securely stored. Security is strong, but must be constantly reevaluated. Theft, operational security failures, law enforcement, social engineering are real threats! Known since the ancient times: YBH’IR QBAR VG NF N XVQ. Uses one shared key, known to all partners. signing messages (message authentication code). associated public key known to everyone. establishing shared keys (key agreement or key exchange). Achieved using symmetric encryption (e.g., AES). Achieved using symmetric encryption (e.g., HMAC, GCM). Achieved using asymmetric identification (e.g, RSA, DSA, ECDSA). Only mandatory in TLS ≥1.3. 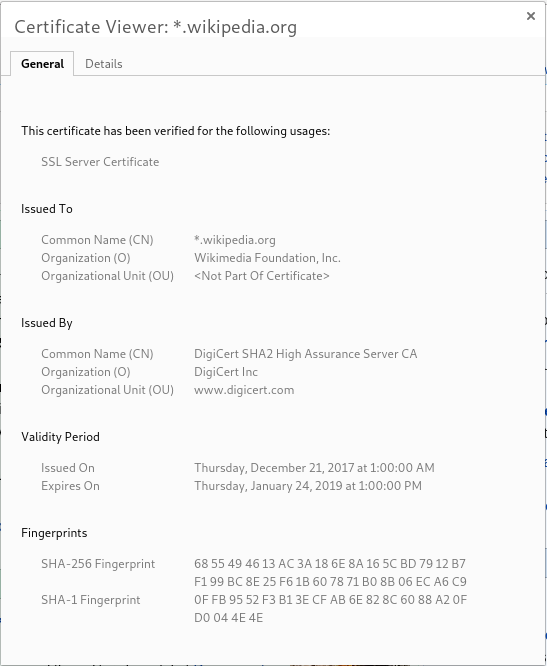 Server sends a certificate, containing its public key. Clients validate the certificate before starting conversation. Optionally, clients can send certificates too (rare). Client and server do a key exchange to establish a session key. Client and server use session key to exchange secret messages. I’m talking to someone who knows the secret key for en.wikipedia.org. 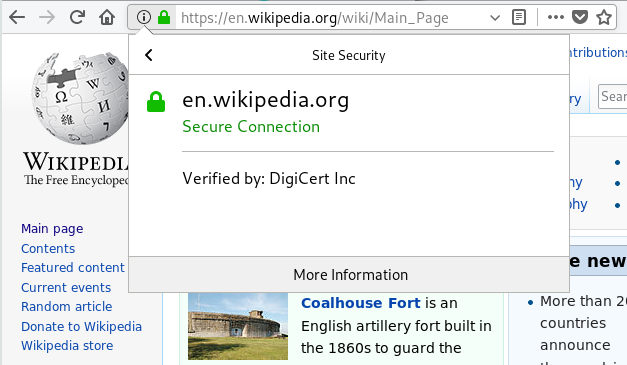 This has fact has been signed for by DigiCert Inc.
My browser tells me to trust DigiCert. Hi, I speak TLS 1.2 and TLS 1.3. Here’s my ephemeral public key. Hi, I want to speak TLS 1.3 with you. Here’s my ephemeral public key, encrypted certificate and signature. Client and server can start encrypted HTTP exchange using the session key. If all checks pass, they sign your certificate.